For thousands of years, dating back before Christianity even, labyrinths have been special places of healing and meditation. The Church recognised their value early on, and incorporated labyrinths for communities to walk, at first outside on the grounds, then as time went on, inside the church as well for use in inclement weather. The famous labyrinth in Chartres Cathedral in France, after which ours is modeled, is an iconic example. 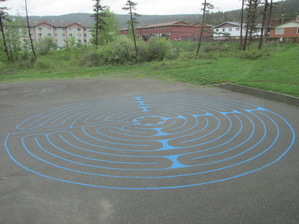 A labyrinth was painted on the parking lot behind the church. This can be used during daylight hours whenever the area is not covered with snow. 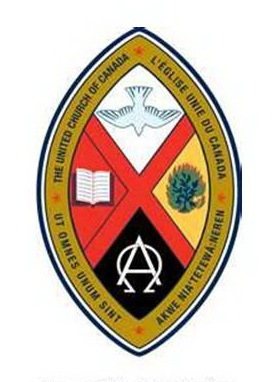 In November, a sign was errected on the north wall of the church, explaining the use of the labyrinth. 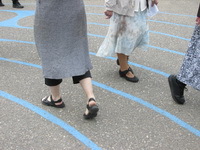 Click on the following Instructions - "How to walk a labyrinth". For more information see Mary Trott or Maureen Margetts.